Good news for the discerning traveller. Reiss has launched a new capsule collection of vintage-inspired luggage, and it’s every bit as good as it sounds. Solving the constant dilemma of how to tackle practical carry-alls, that will comfortably hold all our treasured holiday belongings in the most stylish way possible, these sleek black wheelie cases have plenty of storage, are lined in a chic stripe fabric and even come with handy compartments to make holiday packing that little bit easier. One of the main worries when investing in sassy suitcases is mostly their long-lasting potential and durability to cope with all that bashing about. However, those clever designers have taken this into consideration and each case is made of Vulcanised Fibreboard. Essentially, a pretty tough material. Perfect. There are two sizes to choose from. 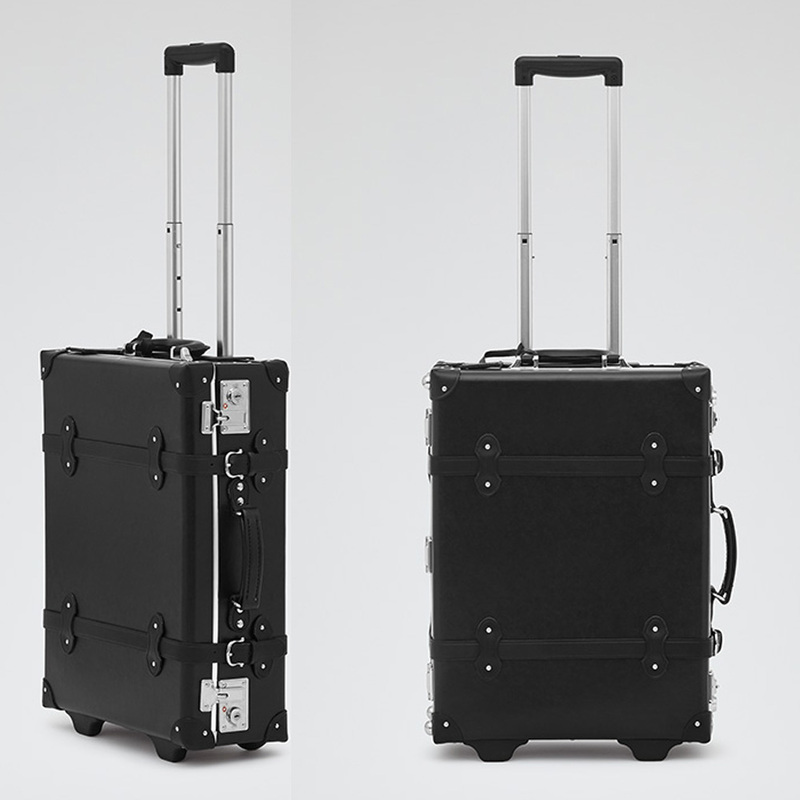 For a short jaunt, try the Wayfarer (designed to fit neatly onto any aircraft and just £375), or for those going long haul, go for the Gallivant (£395). Feeling really spenny? Invest in both and be the envy of every other traveller you meet.